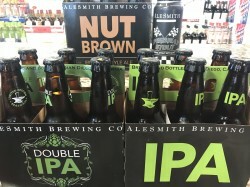 Appearing somewhat quietly on offsale shelves and on draft at select bars, AleSmith Brewing out of San Diego has been available in the local market for a couple of weeks now. As an operator of one of the largest selections of craft beers in town, I completely understand how some beer shoppers can be almost overwhelmed by the steady influx of new-to-the-market beer brands. A big part of my job is helping customers wade through the flow of beer and make choices they are hopefully satisfied with, and it is extremely rare when I can recommend an entire brand of beers to almost any consumer who comes seeking advice. Whether you are a fan of hops or gravitate more towards malts, AleSmith is a brand that you should consider searching for at your favorite local retailer or bar. Originally founded in 1995 with a desire to handcraft artisanal brews that focus on drawing inspiration from traditional European brews, AleSmith has been operating out of a new location in San Diego since 2015. The expansion brought them up to 25,000 barrels in that year with production plans of ten times that number in the future. They offer ten beers that are available year-round, though locally we will more than likely not see all ten at any given time. Let’s get right into the lineup of beers I was given samples of, a diverse lineup that featured both hoppy and malty brews. Nut Brown Ale is brewed in tribute to one of their favorite British styles and received a Silver Medal at the 2014 San Diego International Beer competition in the American-Style Brown Ale category, though it really is quite true to the traditional style. Incredibly well balanced, this deliciously malt-forward brew would pair excellently with a wide variety of foods, including spicy or salty dishes. Biscuity with notes of cocoa and darker, earthy hops and touches of chocolate or cocoa, the creamy mouthfeel is quite pleasing and I found it extremely easy to finish a 12 oz. bottle. Retail is $11.99 for a six pack. I decided to move on to the IPA and Double IPA samples and again was quite impressed with the solid balance. Full disclosure, I have grown increasingly weary when it comes to beers that are aggressively bitter, “punch you in the face” hop cannons. While I still have a strong affinity for all varieties of hops, especially when used in balance, I am most excited when there is a perfect amount of floral and/or citrus aromas that do not overwhelm the body of the beer. AleSmith, with their more traditional European style IPA, in my opinion, is something worth getting excited about. Lightly bready with a lighter than usual alcohol bite, the hops are still quite present in both aroma and taste but for me, the citrus cocktail of fruity hop flavors is supported perfectly and the finish is still IPA-dry but not in a pucker-your-face kind of way. Available in six pack 12 oz. bottles for $13.99, this beer clocks in at 7.25% ABV and 73 IBUs. 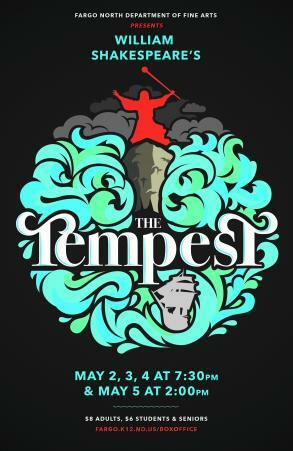 Their Double IPA is a summer seasonal offering bursting with a combination of fruity and earthy hops and again, like the IPA is incredibly well balanced for the style. Even in a Double IPA, I prefer some bready body and AleSmith delivers that well in this 8.5%, 85 IBU brew. Six packs of 12 oz. bottles are $14.99 and only available for a limited time. When I poured the sample of Speedway Stout into a wide, glass mug I began to salivate like a child expecting a nice chocolatey cookie treat. When I brought the mug out onto the porch, the deep dark color and rich chocolate-colored head made my wife inquire, “Ooooooh, what do you have THERE?”. In the glass, this beer is almost as black as race car tires and at 12% is almost as high octane as most barrel-aged treats. The nose reveals the alcohol, without a doubt, but also a strong and pleasing mix of roasted malt, coffee, and perhaps a hint of molasses. The coffee beans are from AleSmith’s nearby neighbor Ryan Bros., and are locally roasted fresh. I was far too anxious to take my first sip and did not let this beer warm up at all before I dove right in, so the first sips were heavy on chocolate, roasted coffee, and light caramel but as it warmed up the more delicate notes of vanilla, burnt toffee, and even swiss milk chocolate began to reveal themselves and the creamy mouthfeel was surprising for an imperial stout without oats or lactose. The ultrafine carbonation leads me to believe this beer could be cellared for years to come and I will probably be grabbing another to do just that. Available in 16 oz. cans for $6.99 each, this is one I would suggest sharing with a friend, perhaps as an after-dinner drink, due to the very high 12 oz. ABV.